decide what sort of book club you want it to be, within the range of say a friendly group focusing on the social side for the evening to a pretty seriously academic kind of discussion group. aim to vary the sorts of books that you discuss, from the lighter and more popular books to those a bit more challenging. I’m not suggesting Dickens here but maybe something a little bit on the side of classic but still easily readable such as, say, Graham Greene or Neville Shute. (I’m being very much influenced here by the last two books I’ve read – but you get the idea). Okay so once your book club is up and running there are a couple more traps you might fall into and you should probably think about these even if you decide that you are going to fall into one or both traps only too willingly! Firstly you will almost certainly want some food even if it’s only in the category of nibbles. Now this wouldn’t be me at all but I hear there have been some book clubs where the provision of food has become a bit competitive. No real harm in that but it is likely to take away from the focus on books. The other danger is around the issue of alcohol. Many book clubs of course include a certain amount of wine drinking. It’s all part of the being sociable aim of the evening but I have heard (surely not?) of the occasional book club evening turning into such fun that nobody can remember whether they actually discussed the book or not. The trick here is probably to phase the wine slowly at the beginning of the discussion at least. There is another problem that many of the more informal book clubs face that few of their members feel brave enough to mention out loud. That is the problem of one or two people being much less comfortable or much too busy actually to read the whole book that has been set for that meeting. This can be embarrassing for person(s) concerned – and four the other members. A suggestion I’ve not seen anywhere else is that of choosing short stories occasionally. There are huge numbers of short story collections, from a classical short story writers. See for example websites such as www.onlineclasses.org which has a list of “The 50 best short Stories of all Time”. Amazon’s Kindle store is now promoting sales of short stories and articles. 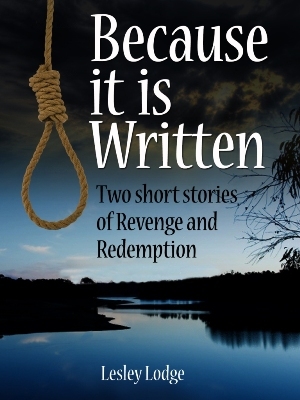 If you fancy trying out this idea, I’ve got two very different short stories of revenge and redemption: Because It Is Written. This booklet contains one story set in 17th century England about a blacksmith presented with the perfect opportunity for revenge on the man who hanged his wife. The second story, Hoodies, is by contrast about a drug dealer killing on a modern day problem housing estate and seen through the eyes of his ex-girlfriend and of a naive press reporter. The first point, I thought, was obviously to choose something striking and thought-provoking. I doubted I’d come up with anything as sensationally striking as, say, Who Moved My Cheese? the best-selling motivational book by Spencer Johnson but I was aiming for something that would attract attention and curiosity – and at the same time convey my book’s content. It’s a non-fiction book but the principles around title-choosing are, I think, applicable to both fiction and non-fiction. Mine is about horses in film – covering all sorts of films, from silent movies through Westerns to the present day and War Horse. It deals with how these films are made, eg how the stunts are done, mistakes in filming, special effects, even make-up for horses. Anyway, you get the idea. After a lot of thought, I came up with “Lights! Camera! Gallop!”. That had it all, or so I thought. The reader knows and expects “Lights! Camera! Action!” and will immediately understand that this book will be about film – and horses. I was, I confess, even a little smug. Lights! Camera! Gallop! – the exclamation marks make it sound exciting too. I was soon pretty much committed to the title. I’d sent out the book proposal all over the place and I’d been working on it for a couple of years. But then, when like so many writers these days, I realised I’d be going down the self-publishing route, I began researching the marketing and publicity side. That’s when I started to learn about search engines, search terms and metatags. Big problem. All the advice pointed to having key words in the title. But of course no-one looking for a book about horses or films would enter search terms such as Lights, Camera or Gallop (even without the exclamation marks. There are more – but you can see the problem. And no prizes for guessing that the last two will show up more often than mine…..